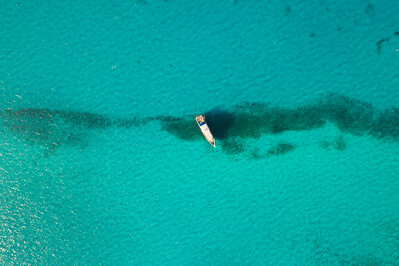 1000 foot arial shot ofTiger Beach Grand Bahamas. 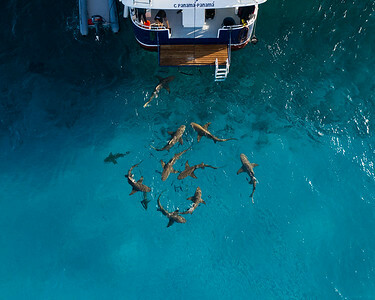 If you look closely you can see a great hammerhead shark swimming around the boat. 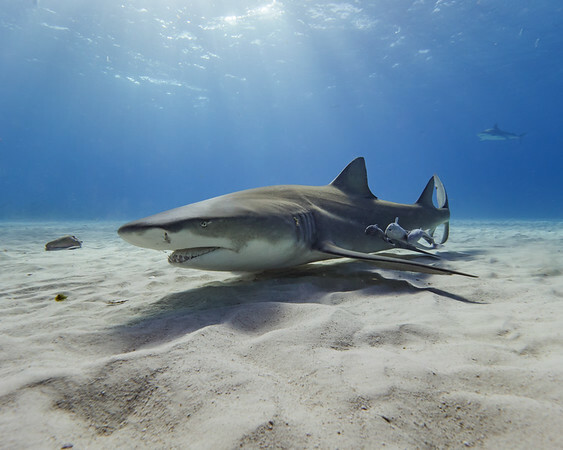 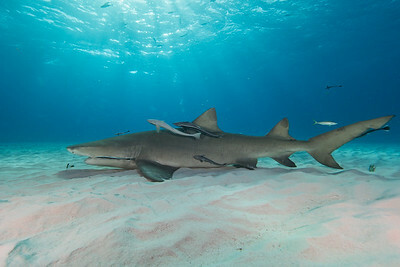 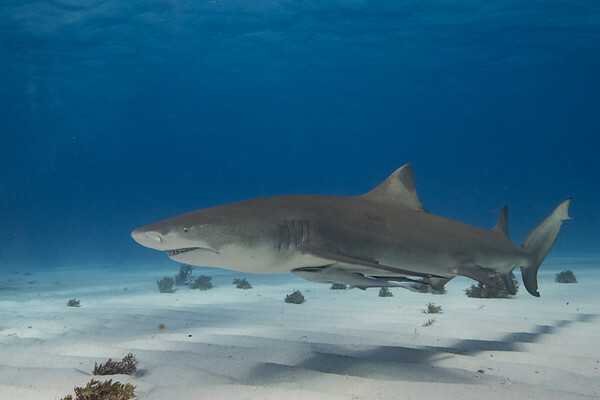 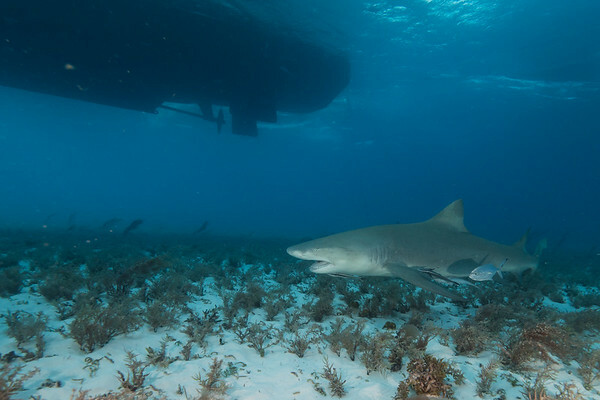 A lemon shark resting peacefully in the sand at Tiger Beach.